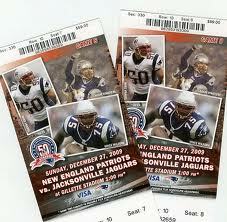 Precision Wildlife Services: Last Chance for Patriots Tickets! Precision Wildlife has decided to keep the polls open for 1 more hour! If you or any you know may be interested in attending tomorrows Patriots game and the pregame tailgate party please just comment on our ticket giveaway post. We have noticed that some of you did like our post and thank-you all for that but our randomly selected winner will be chosen from comments only! Contest closes at 1 pm today..Good luck to all and thank-you for your support!